In this post, we will discuss an important definition of JVM, JRE, and JDK in the Java programming language. We also discuss the difference between JVM, JRE, and JDK. Java technology is both a programming language and a platform. The Java programming language is a high-level object-oriented language that has a particular syntax and style. A Java platform is a particular environment in which Java programming language applications run. Let's start with what is JVM? The Java Virtual Machine is a program, for a particular hardware and software platform, that runs Java technology applications. In simple terms, the Java Virtual Machine (JVM) is the virtual machine that runs the Java bytecodes. When you run the Java program, Java compiler first compiles your Java code to bytecode. Then, the JVM translates bytecode into native machine code (set of instructions that a computer's CPU executes directly). 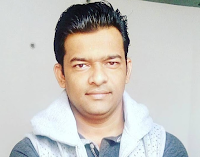 JVM translates the byte-code into machine language, and since the machine language depends on the operating system being used, it is clear that the JVM is platform (operating system) dependent. Below diagram shows the JRE (Java Runtime Environment) is a software package that provides Java class libraries, along with Java Virtual Machine (JVM), and other components to run applications written in Java programming. JRE = JVM + Java Packages Classes (like util, math, lang, awt, swing etc) + runtime libraries. The JDK(Java Development Kit) is a superset of the JRE and contains everything that is in the JRE, plus tools such as the compilers and debuggers necessary for developing applets and applications. 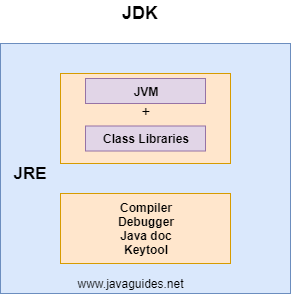 The below diagram shows JDK (Java Development Kit) is a software development kit contains everything that is in the JRE, plus tools such as the compilers and debuggers to develop applications in Java. Let’s look at some of the important difference between JDK, JRE, and JVM. JDK and JRE both contain JVM so that we can run our java program. Below diagram shows the relationship between JVM, JRE, and JDK.